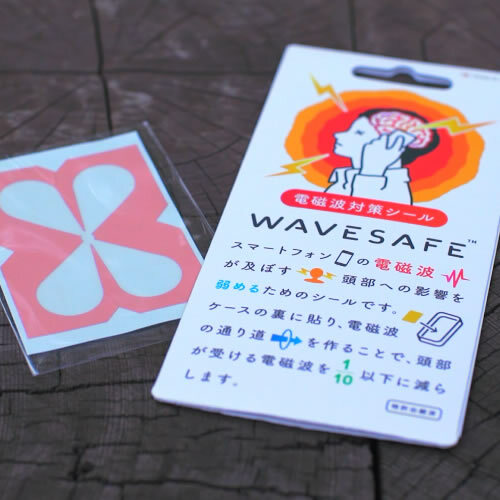 WAVE SAFE reduces your exposure to electromagnetic radiation when using mobile phones. 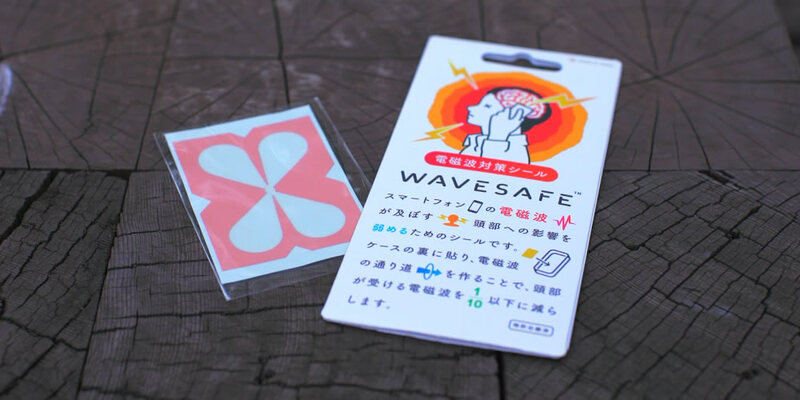 By attaching the sticker to the inside of a smartphone case, the radiation is redirected,resulting in less than 1/10 of the wave’s original strength reaching your head. *The data was measured at Tokyo Metropolitan Industrial Technology Research Institute. WAVESAFE may not be attached firmly to silicon rubber cases. Please don't remove the paper liner and insert WAVESAFE between the phone and the case. 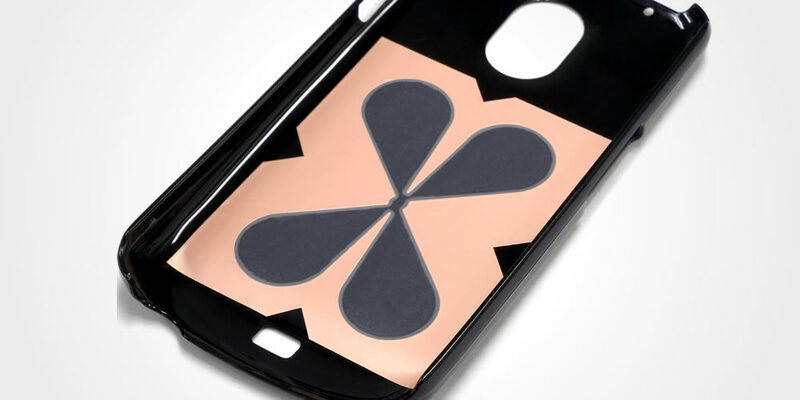 WAVESAFE comprise clover shape,lossless,wide range antenna which has been developed as a director. It redirect each bands of electromagnetic radiation used for voice and data communication without any loss of strength from the head to hand. ※The result of demonstration experiments showing WAVESAFE redirects radiation to the hand using a tracking generator and spectrum analyzer at near field condition. ※The antennae to simulate a smartphone and base station for receiving and sending are small type of wide range teardrop antennae. After serving as an associate professor at Keio University Faculty of Science and Technology, he joined Sony Corporation, eventually serving as head of the Computing Science Center and Information Communication Research Division at Sony Central R&D labs. He went on to serve as a board director at Sony System Design and Sony Computer Science Laboratories. In 2002 he founded Issix World, Inc., specializing in products and services related to electromagnetic signals. In 2016, the company name was changed to present Hane, Inc. 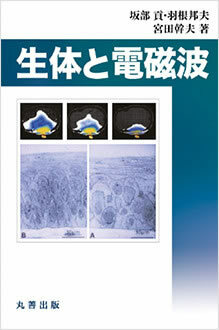 He also published a book co-authored withDr.Ken Sakabe, professor at Tokai University Faculty of Medicine and Dr.Mikio Miyata, honorary professor at Kitasato Institule Hospital entitled " Biological body and electromagnetic radiation"
I coauthored a Japanese book on the living body and electromagnetic waves, an academic work published by Maruzen in August of 2012. My coauthors, both of whom have served as chief director of the Japanese Society of Clinical Ecology, contributed their views on medical aspects of the effects of electromagnetic waves. My part was on electromagnetic waves and their physical relation to the body. In this book, the medical coauthors cited over 250 research papers concerning the effects of electromagnetic waves on the living body. Some of the papers bring up numerous effects that electromagnetic waves in the bandwidth used by cell phones have on the brain. Cell phones, literally so close to us, emit very strong electromagnetic waves that the WHO considers to be weakly causative factors of cancer (in this instance brain tumors). I will not get into medical viewpoints or symptoms, but suffice it to say that exposure of the brain to the electromagnetic waves of cell phones is something to be avoided. The World Health Organization issued a fact sheet regarding electromagnetic fields and public health in 2011. In the fact sheet, the electromagnetic fields produced by mobile phones are classified as possibly carcinogenic to humans. 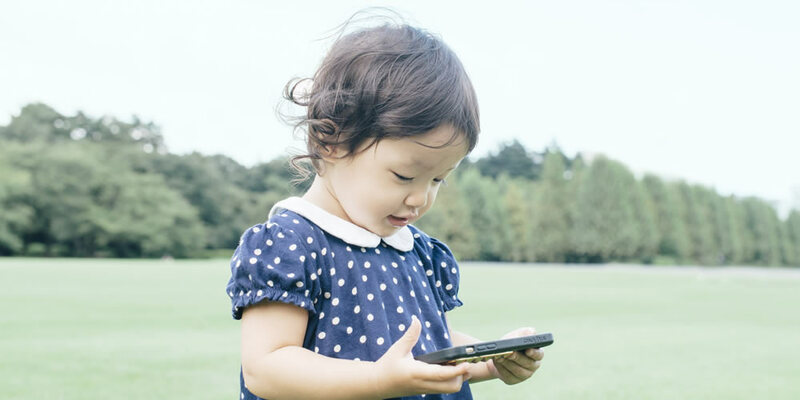 In such a context, many governments have adopted a precautionary principle regarding exposure to cell phone radiation and especially, there have been numerous governmental warnings about children’s use of cellphones. France made it illegal to market cell phones to children under 12 and banned cellphones in elementary schools. Russian officials have recommended that children under the age of 18 years not use cell phones at all. The United Kingdom, Israel, Belgium, Germany and India have discouraged use of cell phones by children. In Finland, the Radiation and Nuclear Power Authority has urged parents to err on the side of caution. In Japan, there is no governmental warning but it doesn’t mean the cell phone in Japan is safe. 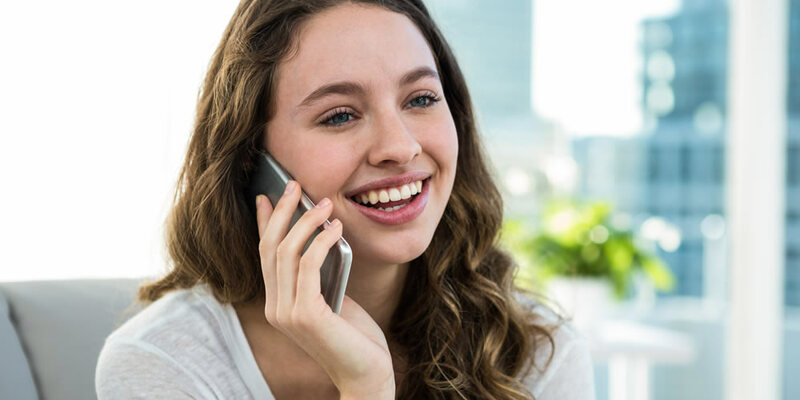 In the U.S., California health authorities have published reports on cancer and other health risks due to electromagnetic waves of mobile phones in accordance with the judgment of the state courts. This report mentions that as a result of numerous investigations in recent years, a relationship between mobile phone usage of 10 years and more and brain tumors has been found and that brain tumors frequently occur on the side of the head where the mobile phone is usually used. The report recommended that mobile phones be used as far away from the body as possible. SAR* and description about distance from the head when in use as indicated by each phone manufacturer is shown below. The highest SAR value as reported to the authorities for this phone model when tested for use by the ear is 0.78 W/kg and when worn on the body is 0.44 W/kg and for WiFi hotspot mode is 0.84 W/kg. For body-worn operation, the phone has been tested when positioned a minimum of 15 mm from the body without any metal parts in the vicinity of the phone or when properly used with an appropriate accessory and worn on the body. 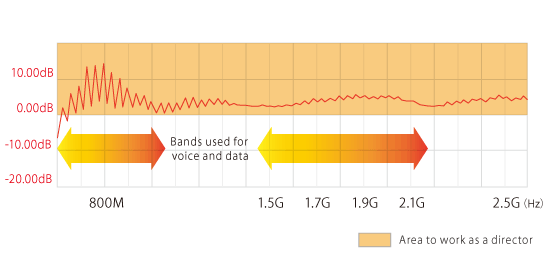 For devices which include “WiFi hotspot” functionality, SAR measurements for the device operating in WiFi hotspot mode were taken using a separation distance of 10 mm. Use of third-party accessories may result in different SAR levels than those reported. The SAR value is a value determined based on scientific evidence, such that radio waves sent from wireless devices such as mobile phones used near the body do not affect human health. It is the average energy amount (watts) of radio waves per unit weight absorbed by a person, and it is called SAR (Specific Absorption Rate). For delicate parts of the body such as eyes and testicles, 1.6 W/kg per gram is tolerated and 2W/kg per 10 grams is taken as an allowable value for a slightly larger locality such as the head. This tolerance value is uniform, irrespective of the age and weight of the user and is indicated by the International Commission on Non-Ionizing Radiation Protection (ICNIRP) as a guideline. The World Health Organization (WHO) has set this value as the regulatory value. The mobile phones are designed to have the minimum transmission power required for communication with the mobile phone base station. Therefore, SAR value will typically be smaller when actually making phone calls etc. Generally, the closer the distance from the base station, the smaller the output of the mobile phone. Developed and Produced by Hane,Inc. Copyright c Hane, Inc. & Beacon Associates, Inc.